We're a bit dinosaur crazy in this house - I've lost count of how many toy dinos are scattered around, and Andy's Dinosaur Adventure DVD is watched at least once a week. Jurassic Park featuring Duplo lego is a daily event here!! This morning Elliot and I went along to see Erth's Dinosaur Zoo which is an interactive puppet show featuring a host of Australian dinosaurs on stage. There isn't a storyline as such but the presenter/zookeeper began by telling us how dinosaurs became extinct and then gradually bought out lots of different dinosaurs, including the pretty scary Australovenator! All the dinosaurs are puppets and even though you can totally see them being moved, they are so convincing that you just forget! Elliot completely believed they were real! The show is very interactive and the children were encouraged to get up on stage to pet the dinosaur, or hold out their fist for the flying dinosaurs to perch on. The presenter had a good rapport with the kids, even when one particular little girl got a bit freaked out on stage by the biggest dinosaur, the Titanosaur! The show ran for 50 minutes which was just enough really - there was a lot of talking from the presenter but it was interesting and it held the attention of the audience. And he was quite funny! 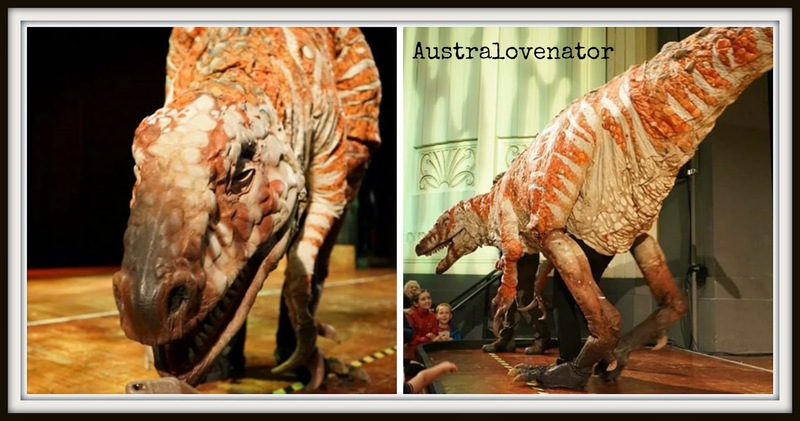 When the show finished the audience were invited to line up at the front for a "Meat and greet" with the scary Australovenator. 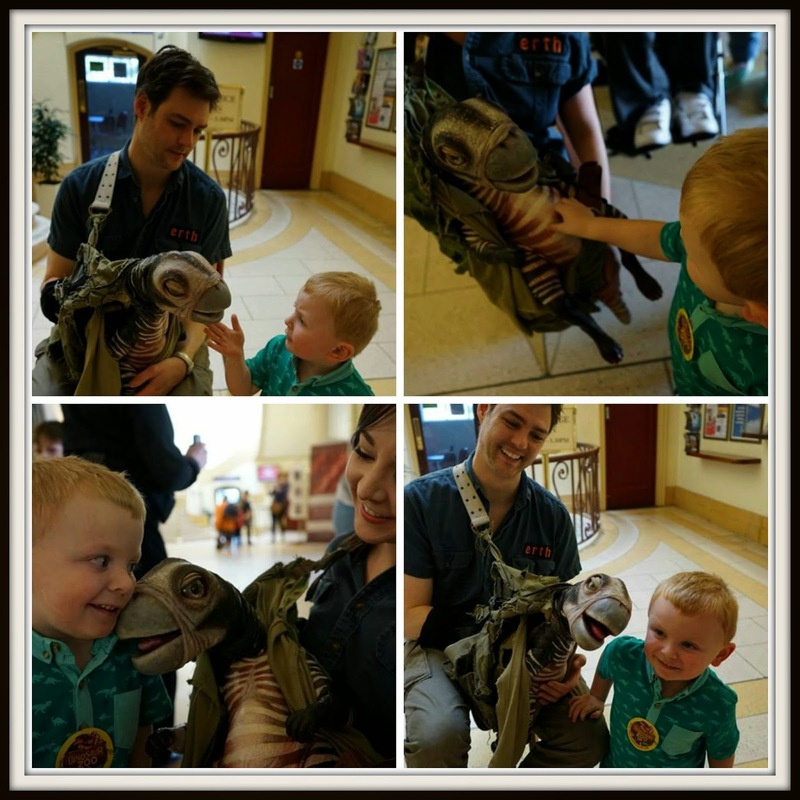 Elliot was up there in a flash but as soon as the dinosaur got closer to him he started to say "Mummy pick me up!!" and when the dinosaur leaned right over towards his face, that was it, he was off!! Despite getting his foot stuck in the flippy seat (twice) and constantly asking for another sweet, this was a big hit with Elliot. We got outside and he said "That was really fun!". It was great to be able to get up close to the puppets and I loved how realistic they were. Big thumbs up from me and a big dinosaur roar from Elliot! You can also read my sisters write up of this show here as she was there too on work duties! This looks great! I know a little boy who would love it!